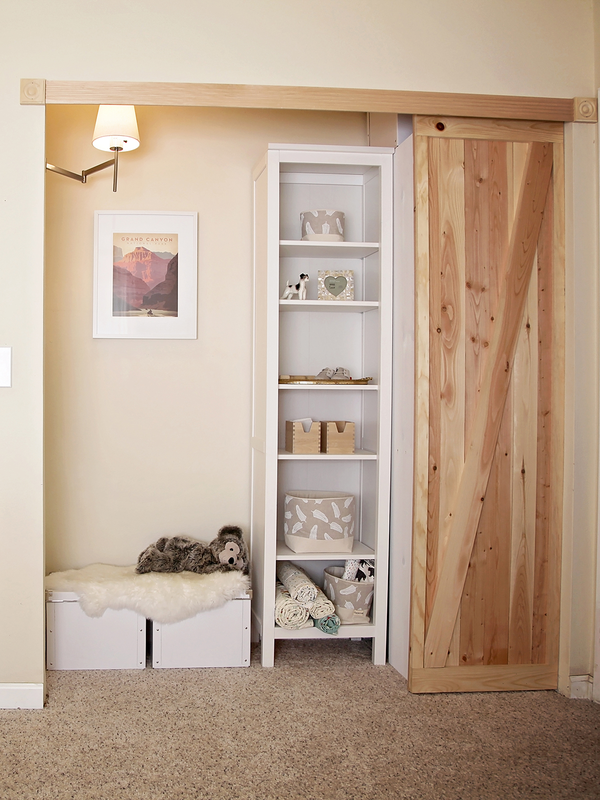 Reading Nook & Mini-Closet with Barn Door DIY!!! 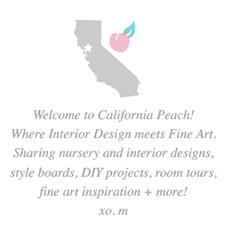 Just wanted to share a DIY we did last year in Baby Highstreet's "American Frontier" Nursery. 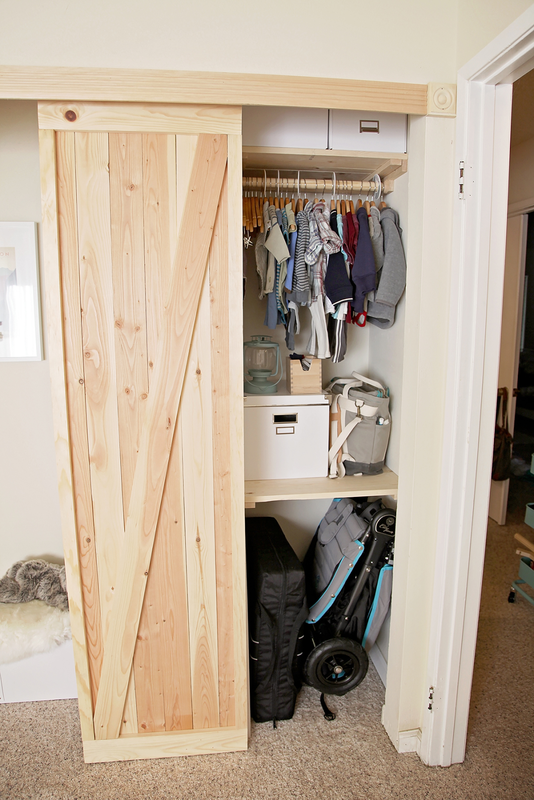 When we were putting together our son's baby last year, I was so tired of the boring and non-functional white door closet space (you know what I'm talking about). So Matt and I came up with a clever DIY way to open up the space into a Reading Nook & a Mini-Closet Space, both good-looking and much more functional! In the old closet things would just sit in piles, but this one has custom shelving so everything is organized and easy to access! Plus, I have always wanted a barn door, and was so excited that my husband was able to built this one for us. We made a bench space on the left for reading, but if you want something a little different: this mini table or desk, this chair AND this storage fits perfect and makes for an awesome craft or work space! Check out all that storage space! 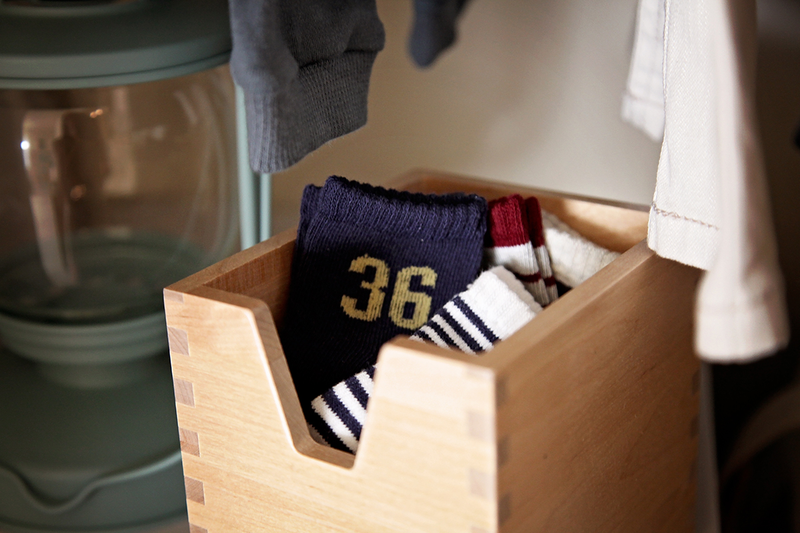 These white boxes are from IKEA and are a wonderful inexpensive way to organize! Wood hangers and these closet dividers really add a finished feeling, and I LOVE how my Travel Crib, Honest Co. Diaper Bag and The Collective Baby Jogger Stroller can fit! I made sure to plan room for those things, since I didn't want them just sitting around the house somewhere. 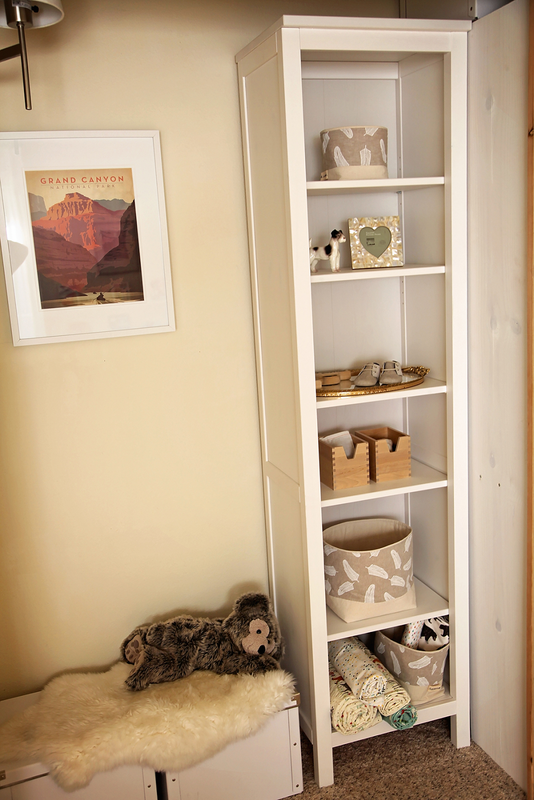 The Book Shelf is from IKEA (low budget nursery anyone? ), and it looks fabulous! 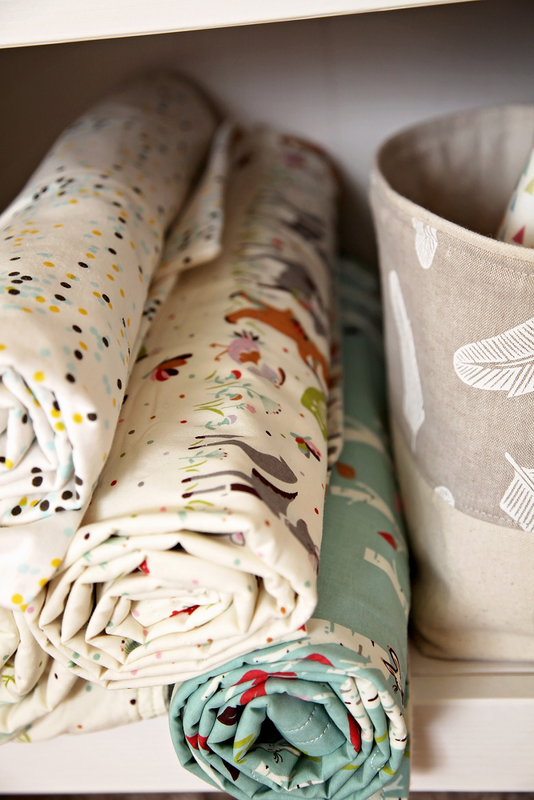 I loved "styling" it and used these Feather Fabric Storage Baskets to organize just about everything: from binky clips to pacifiers to shoes and blankets, it's all organized and out of sight! 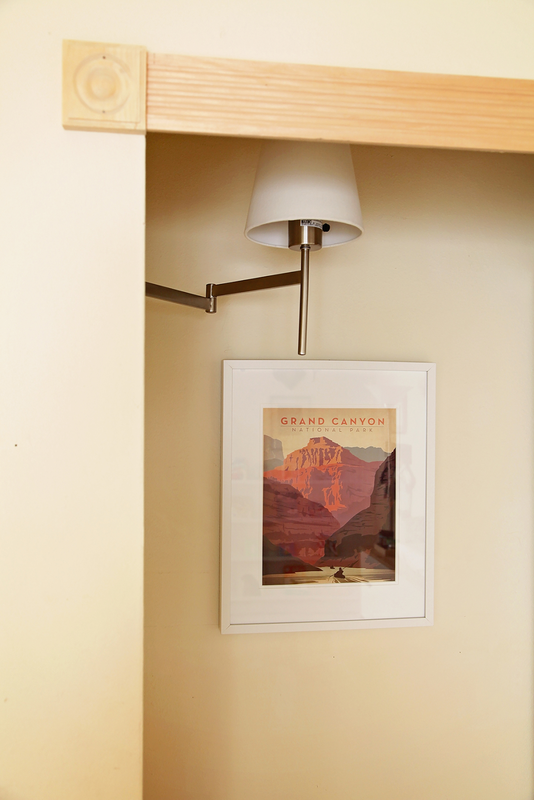 Just adore the Grand Canyon Poster and the Swing Arm Sconce that adorn the nook and really go above and beyond form+function! 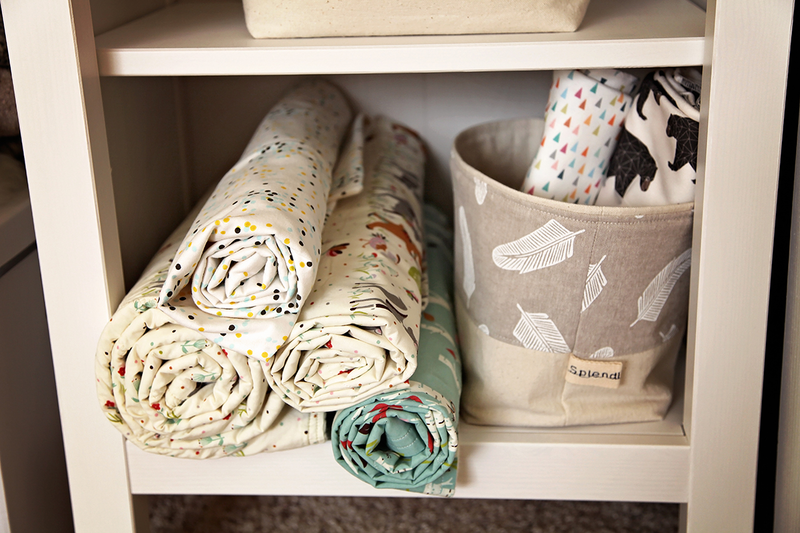 At the bottom of the shelving we stored our blankets, rolled up neatly. The larger quilted blankets are on the left & the swaddling blankets are on the right side. 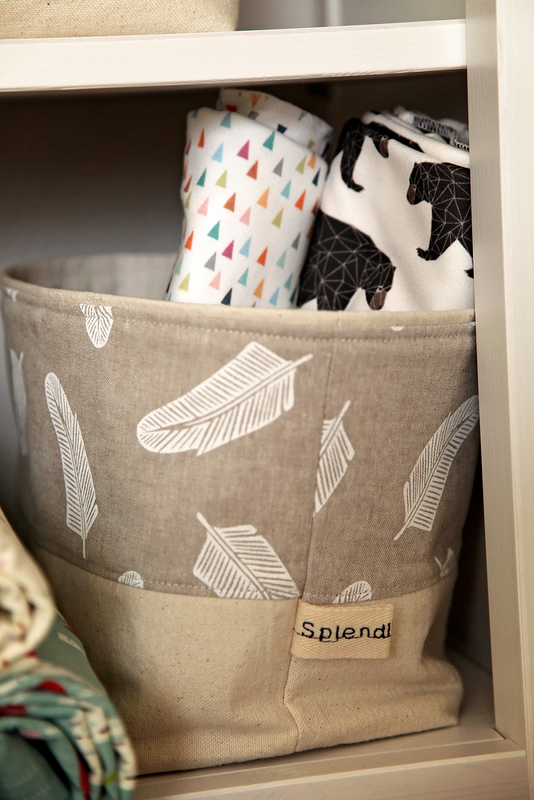 Again, love these gorgeous Feather Fabric Baskets by SplendidLoveShop. What little kid doesn't love a rubber band gun? And it is perfect for our American Frontier theme! 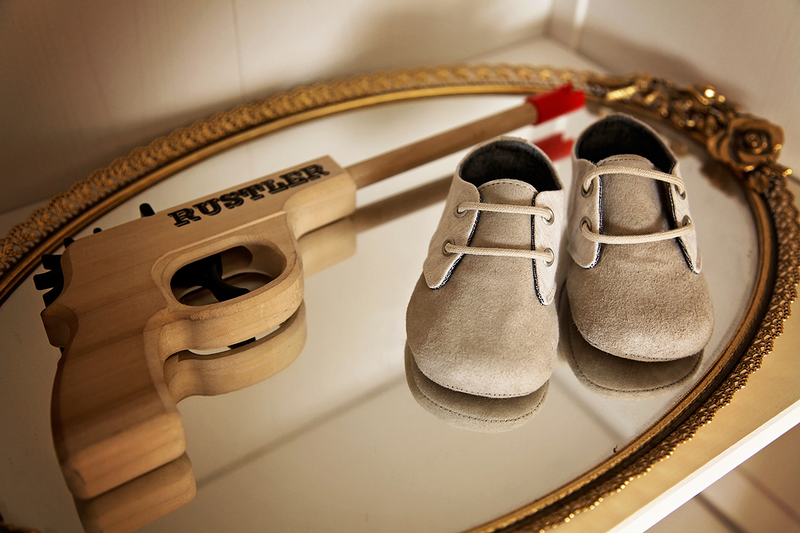 Loving the mirror which is the perfect place to display baby's first shoes! The closet is so perfect, both gorgeous and functional - a special thanks to my husband who built it all! 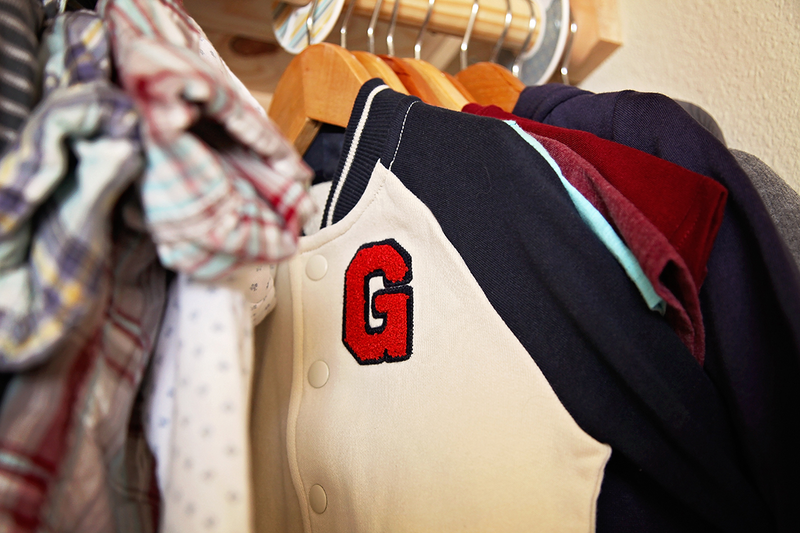 Hope you enjoyed our Nursery Closet Upgrade!!! 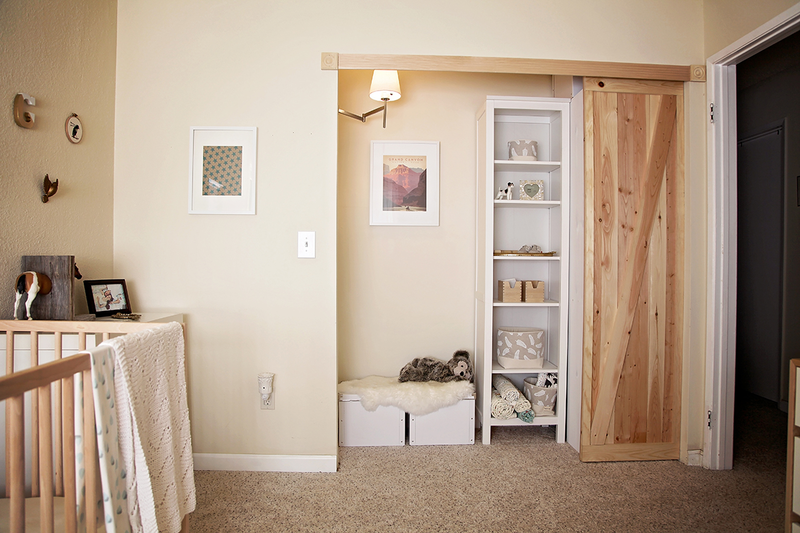 Perhaps you can use the layout and DIY your old closet space into a cute and functional reading nook / mini-closet for your littles!! !